The PSAFC20 series of AC/DC switching power supplies provides up to 20 Watts of output power in a 2.08” x 1.07” x 0.93” encapsulated PCB mountable package. 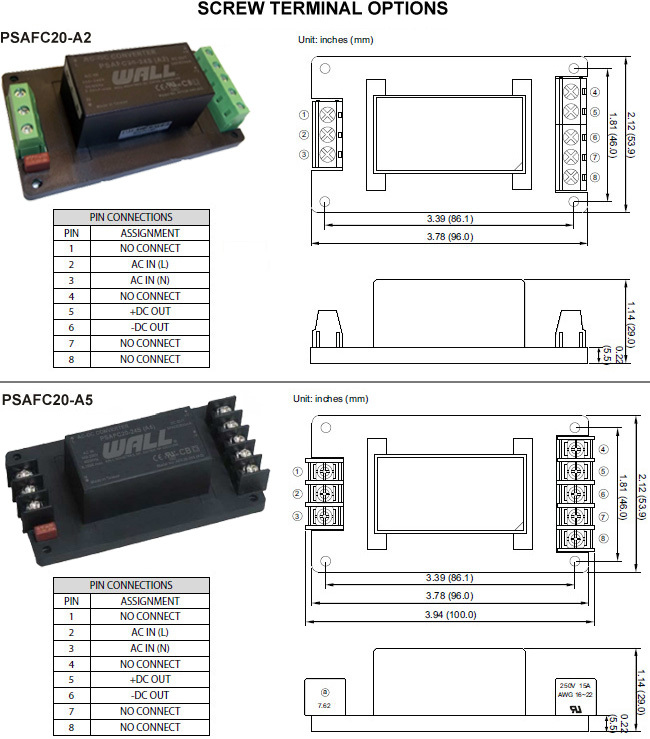 This series consists of single output models with a universal input range of 90-264VAC (120-370VDC). Some features include low ripple and noise, -40°C to +70°C operating temperature range, and over power, over voltage, and short circuit protection. The PSAFC20 series also has two types of screw terminal mechanical options available. All models have UL/cUL, CB, and CE safety approvals. Notes: 1. Ripple & noise is measured at 20MHz bandwidth, full load, and with 47µF and 0.1µF capacitors in parallel across the output. 2. 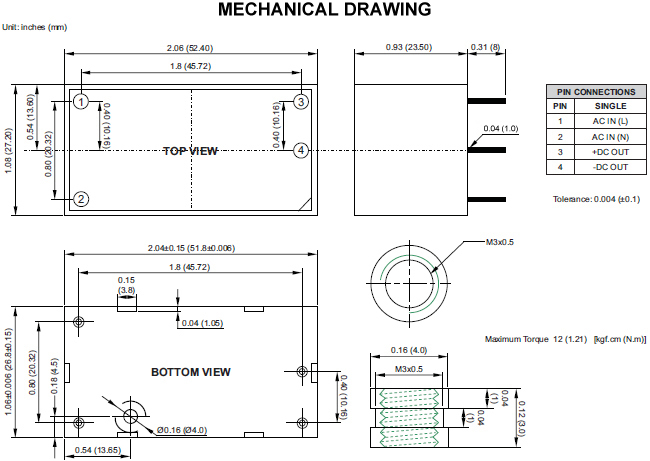 Screw terminal mechanical options available (see page 4). Please call factory for ordering details.